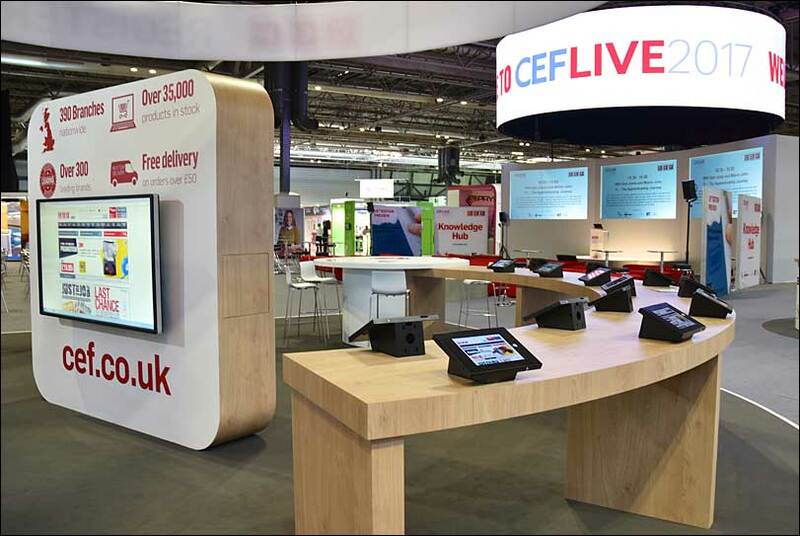 As the hosts of the exhibition, CEF needed to set the right tone with their stand – so we ensured they did just that! Starting with planning an effective layout, we created an exhibition display stand strategy that would offer a range of spaces for different types of visitors. 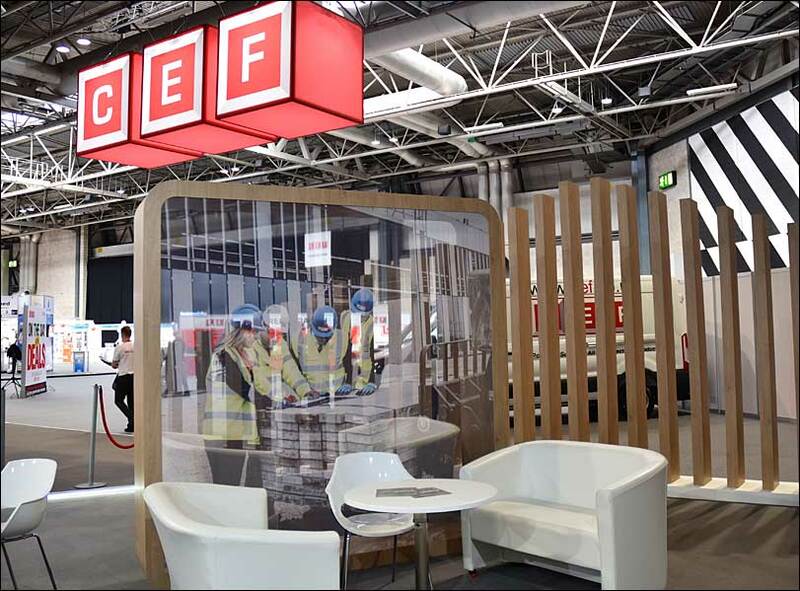 Focusing on the visitors’ experience, we designed the stand to particularly cater for different levels of hospitality. 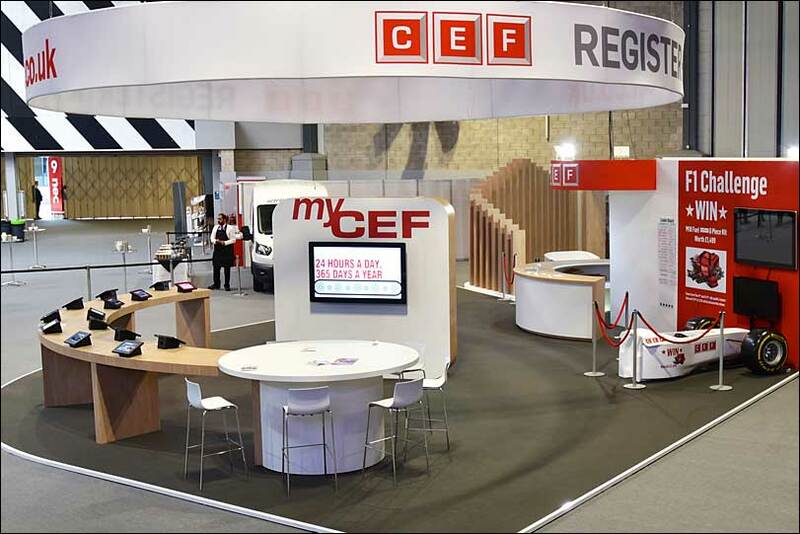 The objective was to give visitors their own time and space to explore and discover the CEF online services. VIP guests were given 5-star treatment in a dedicated hospitality zone, creating a high-class business lounge atmosphere and experience.